Breckenridge Associates - Your Hometown Team. Whether it's the mountains, the solitude, the snow sculptures or the music festivals, you're searching for real estate around Breckenridge for a reason. Maybe you're hoping to make a connection — with family, the mountains or a healthy lifestyle. Whatever the reason may be, your local team of Breckenridge REALTORS® can help you locate the perfect match for what's important to you. Something similar drove every one of the Summit County Realtors at Breckenridge Associates when making this wonderful town their home. Love of the community drove us to form a team that sells more real estate than any other single office in Summit County. 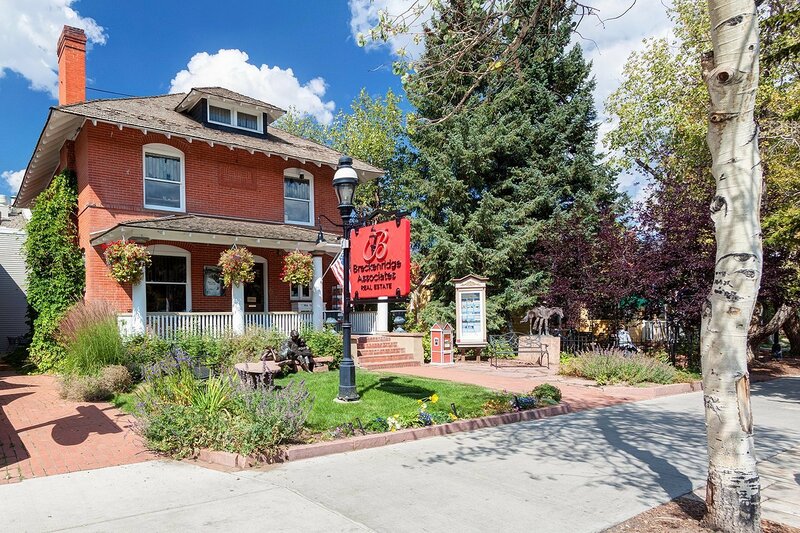 We're dedicated to Summit County and the surrounding communities - our only office is the red brick historic home on Main Street, Breckenridge. Come up the path and onto the porch and see what's for sale. The old place is charming and we want you to know you're invited in. But enough about us. 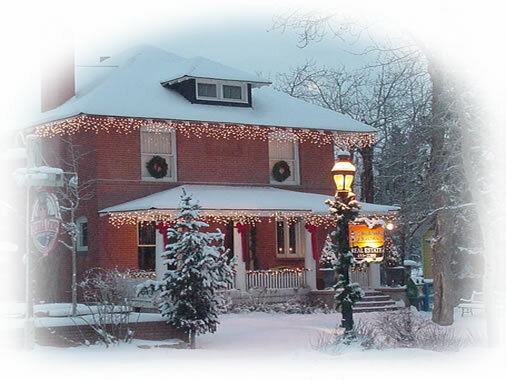 Click on the name of any one of our agents, so we can start talking about you and what's bringing you to Breckenridge. Search - the Smart Way. We built a search tool that give you information the way you want it. When you sign up - for free - you gain access to the best search tool for this MLS. The Breckenridge Associates Real Estate search is the first one to offer recent sales data and photos, too. We value your privacy, and will keep your info secure. Sign Up Now! Breckenridge Associates is known - and has been for more than 30 years - as the hometown company with world-class service. Each of our Associates is a licensed real-estate broker and a partner in the company. We're not part of any national franchise - no other interests beside providing the best real estate service to our community. We are a local business, dedicated to the community, and together we are the leading real estate office in Summit County. We can help you get the most value when selling your home or buying a new one because — between us — we've lived in Breckenridge longer than there's been a ski resort. Purchasing a home without proper representation can be a difficult task. Without the right guidance and in-depth local knowledge, what should be one of the best experiences of your life, can quickly turn into a very stressful situation. When you choose Breckenridge Associates as your buyers' representation, you are guaranteed a courteous professional who will always put your needs first. Our in-depth industry knowledge and years of local experience are the advantages you need to ensure you receive the very best deal possible. Our agents can save you time & money by honing in on your exact desired features and matching them to the perfect home. When you add us to your team, you gain the expertise you need to make your dream home a reality. Once you have found the perfect home, our agents will compile and analyze similar data and comparables to ensure we make the right offer. We will use our findings and expert negotiating skills to provide you with the best possible representation. We pride ourselves on ensuring your best interests are looked after. A service we promise to provide with no cost to you as a buyer. Take the first steps to making your dream a reality and start your real estate search now. For a selection of helpful advice and expert tools, please check out our Buyer's Guide. We want to help. Don't hesitate to contact us for free real estate advice and service. Selling your Breckenridge house without the assistance of a designated real estate professional can cost you tons of time & money. Our years of experience have helped us prefect a streamlined approach to marketing your home. We know the best ways to organize, budget, and advertise for open houses, private showings, and online listings. We know what the local buyers are looking for in a home and how to make your house stand out from the rest. We also have access to an extensive list of buyers who are interested in homes just like yours! Our professional agents have the skills necessary to take on the overwhelming tasks such as negotiating purchase prices, contract contingencies, and all of the other complicated paperwork necessary. When you select us as your home selling team, we ensure that your home is sold without a hitch. You no longer have to worry about every single detail; we will make sure that every aspect of selling your house is properly dealt with. Your home is likely the single most valuable thing you own, don't jeopardize its value by trying to sell it yourself. As designated professional agents, we have expert knowledge of, and access to, the necessary tools needed to make your real estate transaction successful and profitable.